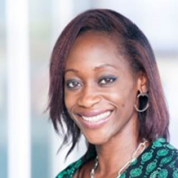 An internationally recognized figure in the field of human and civil rights, Hafsat Abiola-Costello works on promoting democracy in Nigeria and the empowerment of women and youth around the world. Educated at Harvard College and Tsinghua University, she is an economist with a Masters in International Development. Currently, she serves on the Ogun State cabinet as Special Adviser to the Governor overseeing the roll-out of schools in rural communities and the training of teachers among other projects aimed at achieving the Millennium Development Goals. One of 50 global councillors of the World Future Council, she co-founded several global organizations and serves on the Advisory Council of Gucci’s Chime for Change. She is the President of the Kudirat Initiative for Democracy (KIND), an NGO that works to strengthen organizations and create initiatives dedicated to empowering women and girls to claim their rights. The recipient of several awards and the subject of the award-winning documentary, The Supreme Price, she is married with two children. "I agreed to join the Academy because coming from the youngest and financially poorest continent in the world, I have come to recognize the invaluable role that teachers play in connecting children with the world. Wherever children and youth are, whether in villages, slums or affluent neighbourhoods, teachers can also be found equipping them to build futures worthy of their dreams. Where would any one of us be without these patient cultivators of humanity's promise of a better tomorrow? By recognizing the best among them through the efforts of the Academy, I hope we encourage others to pursue the noble calling of teaching."